People wonder why Warri born or brought up or Waffarians are really unique and they try to wonder why they are so special. Really, any Warri boy has got taste, class and great sense of humor. Warri boys dey rep everywhere they are and you must have heard of this popular saying Warri nor dey carry last and truly in many sense warri boys have lived up to the hype of that statement. 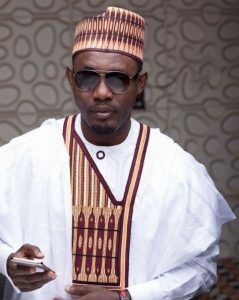 Ayo Makun popularly called AY will attest to the fact that using the Warri boy brand name dey clear road for am because AY as a person nor really funny but he get packaging die. AY jokes na once a year e dey get better Joke like the kpon-kpon joke when he just get when he nor let people hear word again because he done crack that joke like 5000 times already so e nor funny again. Back to the message for this write-up. You must have seen the show, Made in Warri live in Lagos, or Warri Again in Lagos. These two shows were or are organized by Richard Mofe- Damijo (RMD) and Amaju Pinnick the president of the Nigeria football president (NFF). So you understand say Warri can dey anywhere and Warri moves from places to places, city to city and whatever they do must carry weight. This nor be boasting na real matter. And that’s just a compliment. Nor too reason, nor reason am sef because na compliment. Most likely na whatever una dey discuss make sense. Just smile and curse him back or rather compliment the person the same way. Just know that you are in Warri. You are really in Warri when you observe your guy shoe when it is one of a kind. The shape, the design and color of the shoe must definitely fit the complete dressing in a special way or rugged way. Because Warri boys nor dey like to see wetin dem wear for people body so they most likely are to create their own uniqueness. Of course that person has proven to you that you are in Warri. Note here that no body for this life dress reach Warri boys, check out RMD, AY, Igodie, Yung6ix, etc but Alibaba dey dress mumu dressing well well sha. Nor try yourself o. Warri pidgin is the only approved pidgin allowed for use by comedians and in movies. If you wan blow as a comedian and you nor sabi Warri pidgin, then your career don finish before e start. Nor be joke. Warri boys done cast everywhere with their unique mannerism. You hear exclamations like shuoo… Kweke’ and the ascent is very unique. You just know that you are in Warri. How you know you are in Warri is when you meet someone who just doesn’t try to crack jokes and people are just laughing around them. The Warri boy will be like, am not funny when you jam Dafe, you go see funny. True Warri boys go the extra mile to render care without expecting anything when they really know that you are in need of help. You can never be dull around them. This is just one way how you know you are in Warri. Warri boys have the highest levels of being observant. They watch you with Gbejero eyes and you think the guy isn’t seeing what you did. And the next think you hear is where my cut, eye when see. 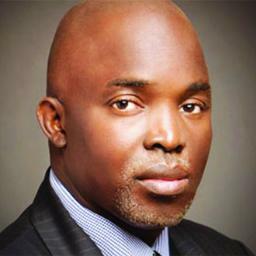 See Amaju Pinnick and how e take tidy his detractors using Fifa presido to run matters for Nigerian football politics. You wan try AY, Igodie how e take let Ahmed Musa know say him soft abi na Ayiri wen rush join APC when PDP loose and How Ayiri followup Atiku when him enter Delta? Nor try Warri boys o.. Abi na RMD when run enter politics to gada him osusu before e run. Truth be told I nor go lie. Warri boys their own too much. They always want to be on top of the matter and careless how you feel. Every true Warri born always want the steering. They just want to lead by force and by fire. Warri boys nor dey take church play even when them dey run street. Dem go tell you dsay na God Over Everything. See as boys dem dey starch their shirts or native on Saturday evenings. You go fear fear when boys call out on Sunday morning with their soft bible to follow. Even angels they respect say the Warri boys are here. When you see a Warri boy in Church on Sunday morning you know that you are in Warri. When you here this statements: Na hustle we dey, the street is not friendly, head burn, etc… if you nor be Warri born just give chance. Warri boys nor get joy wen their hand cold. Warri boys mentality be this: life itself na hustle, everything na work. so observe yourself well if you go fit follow-up otherwise use your kidney. When you see a boys when they restless like this then you know that you are in Warri. You are in Warri when you find out the guys around you are just helping people who are in need. Warri boys like to render help to people without expecting any return. Na only Warri boys dey tidy things for people, even burst people head just to see that people aren’t oppressed. You nor just go fit skip queue na bottle go land your head if you nor careful. Na only soldier fit oppress Warri boy when him nor go yarn. No just go there. Warri boys nor dey play with banga soup and starch. 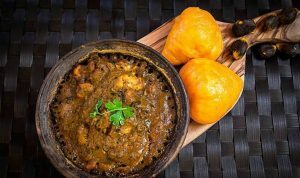 So to win the heart of a Warri boy just learn how to make Banga Soup and Starch. With these few points of mine, I am sure I have been able to expose some hidden truths about Warri boys for you out there who are wondering what it feels like to be in Warri or to be with a true Warri boy or A true Waffarian. Just see wetin Amaju pinnick do with the last show when him pack all the who and who in music, comedy, and entertainment in general when Warri Again live in Warri at the stew auditorium which World class standard. 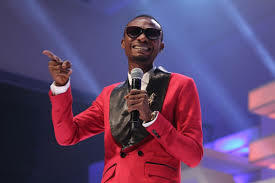 Sheyi Law run commot stage when he see the heat when dey come from the audience based on say you need to dey on top of your game if you must perform I Warri. See as Eriga, Victor Ad stew everywhere for the show. Clearly you know you are in the heart of Warri when you watch the show. Warri stew, Warri Boys Stew, Waffi Stew, Everywhere Stew.